Developing fighting games for PC is a risky proposition, as it often just makes it simpler for players to do silly things like form an all-Ryu team in Ultimate Marvel vs. Capcom 3 or shoot themselves to the top of the Street Fighter V rankings. World-class Tekken competitor Jae-min “Knee” Bae recently found himself matched up against one such player during an online Tekken 7 bout, but had no time for such shenanigans. In the footage taken from his live broadcast, Knee is shown joining a match against a player named OKSavingsBank, but something immediately seems off due to OKSB’s lack of character art. Knee soon learns why when the match begins: his opponent is utilizing Devil Kazumi, a character who’s typically confined to the story mode. She’s overpowered, as every good fighting game boss should be, with destructive attacks that can quickly decimate inexperienced players. Unfortunately for this online scoundrel, Knee is anything but inexperienced. Knee gets off to a slow start but soon finds his rhythm, ending his first encounter with OKSavingsBank by sniping Devil Kazumi out of the air with an item move, a slow, hard-to-use attack. 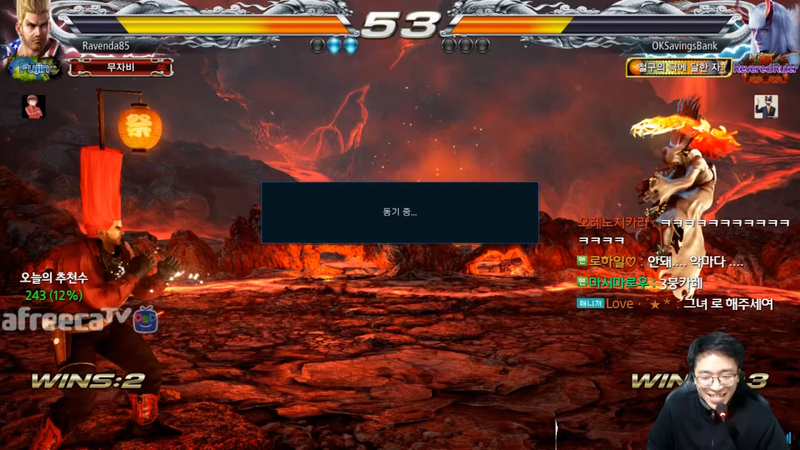 Upon being matched with the same hacker later in his stream, Knee decides enough is enough and switches to Paul Phoenix, depleting Devil Kazumi’s health with a few well-placed Death Fists. After two rounds of this punishment, OKSavingsBank quits in the middle of the match, eliciting some laughter out of Knee before he moves on with his training. Character-hacking is only fun until you get matched up with someone who beats you so violently that you simply have to log off, possibly forever.